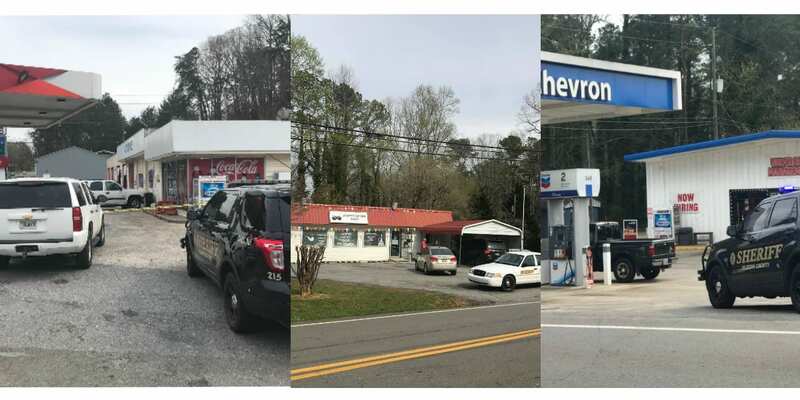 JASPER, Ga.- The Pickens County Sheriff’s department obtained illegal vaping products containing Schedule I Narcotics from three local businesses on Friday, March 29, 2019. I want to express my sincere appreciation for the support you continue to give to our school system. I am reaching out to you in hopes that you will step-up and join us in battling an epidemic that continues to rob our children of their health, education, and possibly even their lives. 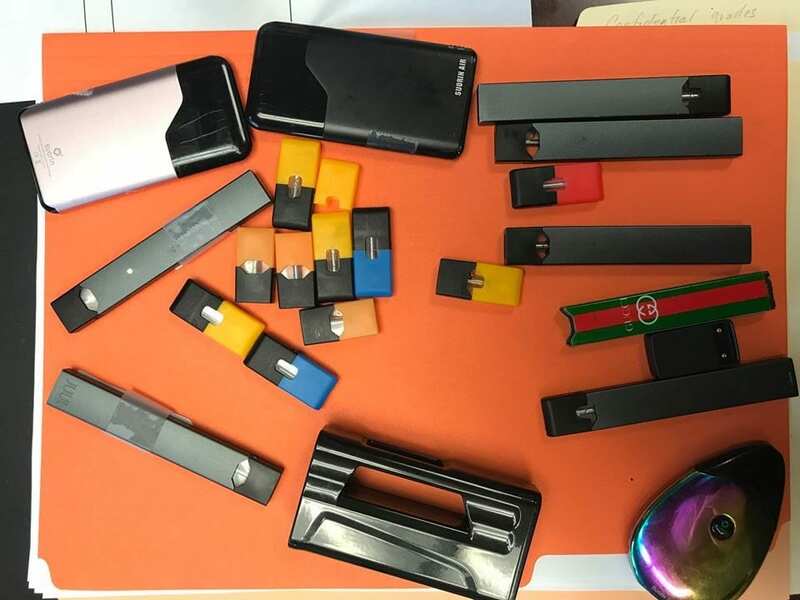 This year alone, we have had sixty-four (64) incidences of vaping on school property – that’s only the number of students that have been caught. 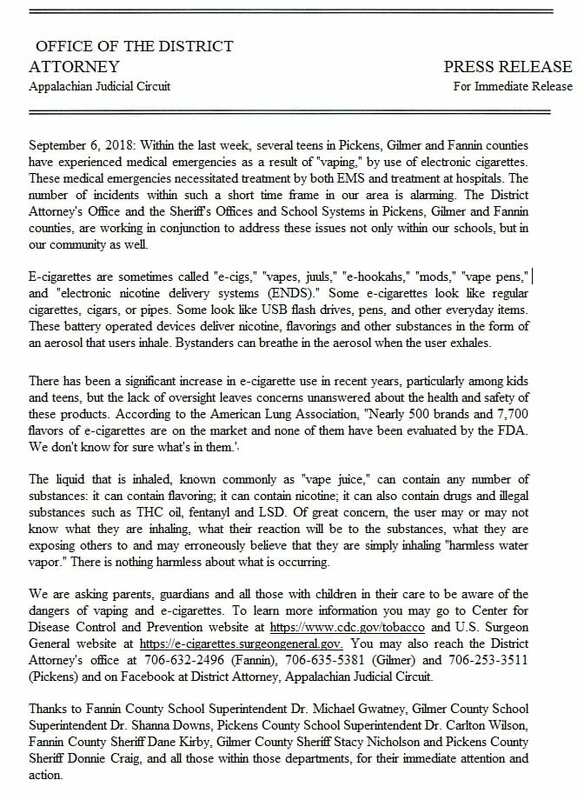 We have had multiple students in need of immediate medical treatment after inhaling toxic substances from vaping. 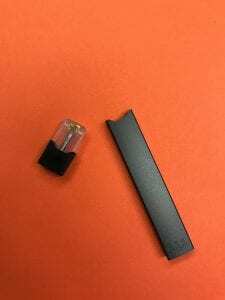 Do you know what a vaping device looks like? These devices come in different styles, shapes, and sizes, and look like common items such as ink pens, computer flash drives, or computer mice. 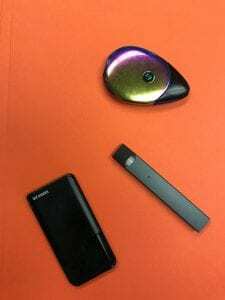 The liquid inhaled from these devices, also known as “vape juice,” can contain many types of dangerous substances such as THC oil, fentanyl, LSD, and a substance known as “kronic.” The initial intention of vaping was to find an alternative to cigarette smoking. That is no longer the case. Vaping is a way for individuals to get high without being easily noticed because there is no smoke or odor from using the device. We need your help! 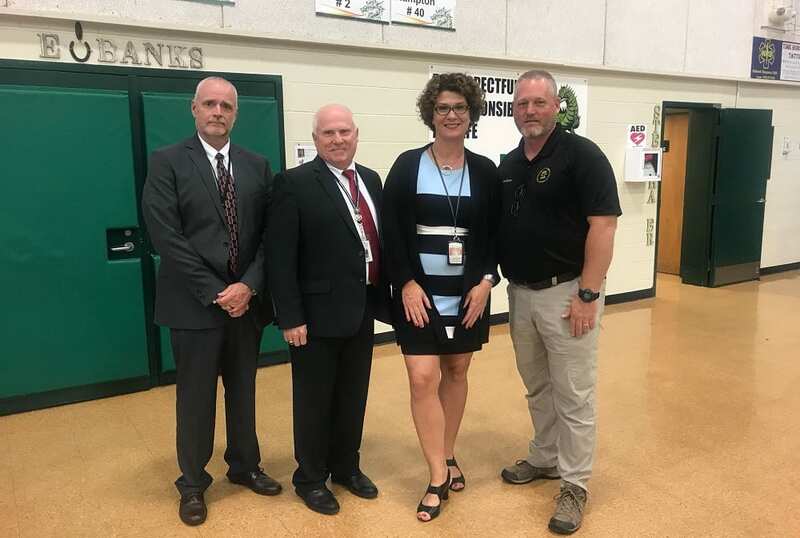 As a school system, we are working to develop age-appropriate information to share with our students in order to better educate them about the dangers of vaping or using any type of drug. 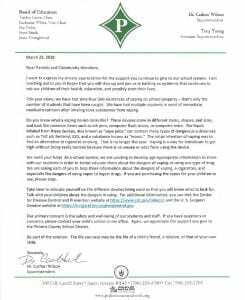 We are asking each of you to help share information about the dangers of vaping, e-cigarettes, and especially the dangers of using vapes to ingest drugs. If you are purchasing the vapes for your children to use, please stop. 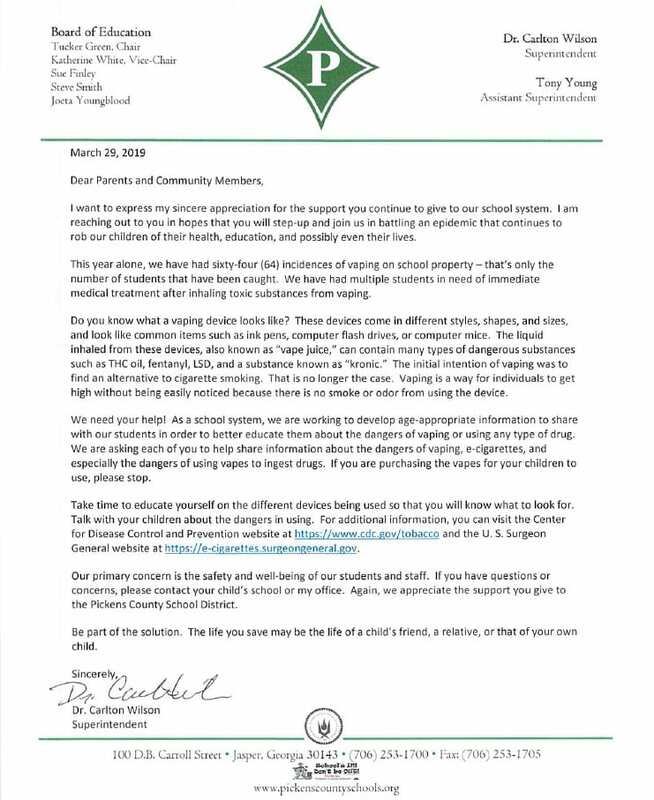 Posted Friday, March 29, 2019 by the Pickens County Board of Education (click to enlarge). Take time to educate yourself on the different devices being used so that you will know what to look for. Talk with your children about the dangers in using. For additional information, you can visit the Center for Disease Control and Prevention website at https://www.cdc.gov/tobacco and the U.S. Surgeon General website at https://e-cigarettes.surgeongeneral.gov. 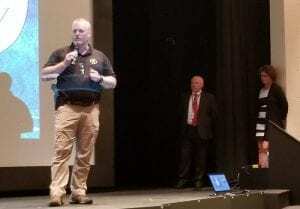 Our primary concern is the safety and well-being of our students and staff. If you have questions or concerns, please contact your child’s school or my office. Again, we appreciate the support you give to the Pickens County School District. Be part of the solution. The life you save may be the life of a child’s friend, a relative, or that of your own child.